Where we work impacts our health in all sorts of different ways. Stress from overwork and too much time being sedentary are a couple negative workplace factors we all have to be mindful of, but now, researchers warn that a workplace environment where we have to work alongside people who are frequently rude and unsociable can have seriously negative consequences for our psychological wellbeing and even our physical health. Two studies were conducted on full-time employees in North America who experienced incivility in their workplaces. What the researchers discovered was that employees’ sense of belonging was negatively impacted when they experienced rudeness, when they were ignored or when they were the target of insults repeatedly from the same person. The more embarrassed they felt and the less they felt like they fit in after such an event, the more likely they were to feel less secure in their jobs and experience negative health effects. It isn’t exactly all that surprising that workplace incivility would have this type of negative impact, but what was particularly interesting was that even subtle forms of incivility can threaten employees’ sense of belonging and trigger feelings of embarrassment. And these negative feelings would hang around for an average of three days after the event took place. Besides the obvious negative psychological impacts of workplace incivility, the study findings found links to physical symptoms such as trouble sleeping, stomach issues and headaches. And if the incivility was exhibited by a person of higher authority, the negative psychological and physical effects seemed to be exasperated. When employees experienced incivility, they were more likely to question their value to their company. The researchers stressed the importance of employees’ sense of belonging and recommended that management should regularly make efforts to encourage activities and behaviors that help their employees feel valued and that they belong. While these links between workplace incivility and negative impacts on health isn’t a new discovery, the findings of this particular study show that it can be more serious than we might assume and happens a lot more often than we might think. The researchers said that workplace incivility is a very common experience, with reported rates of up to 99 percent from people who experienced it themselves or who were in the presence of a coworker experiencing it. Related: Shivering at Work? Could Be Sexism. A related 2011 study showed that rudeness among coworkers can impact relationships far beyond the workplace, too. Incivility that triggers enough stress in employees is often taken home with them, impacting their home and family life well after the workday is over. Dealing with workplace incivility is, of course, more complicated than simply choosing to avoid toxic people. 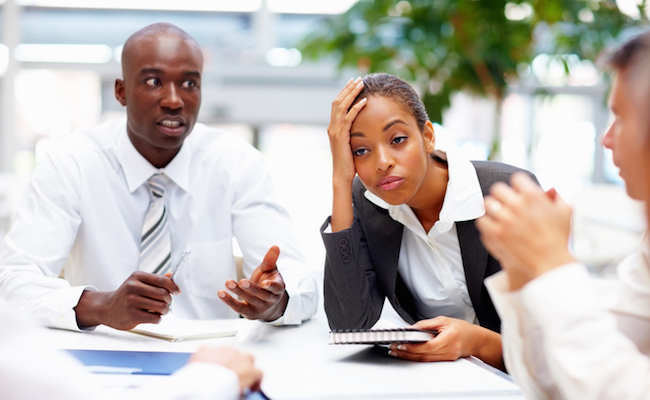 When employees have no choice but to work with certain people and share an environment with them, management should certainly do its part to prevent incivility, but employees can find other ways to cope by seeking support from fellow coworkers (especially those who are witnesses) and turning toward employee assistance or counseling programs that may be available. Yes, I see this all the time, and it is impossible to address because unless there is a direct threat, many people write it off and give inane suggestions such as 'don't let it bother you', as though you are supposed to divorce yourself from your sense of right and wrong and kill your gut off and that's going to make a better world for everyone. Thanks. Agree, sadly it seems gratitude and kindness are not as used as before; they make people happier, I don't know why people don't practice them more often. I agree with Margie F.
Rudeness in the work place is extremely stressful. For (thankfully) a short period I worked with a rude, thoughtless woman, who wanted no direction on how or what to do, and frequently made snide comments. If I'd been in the habit of a nightly glass of wine I would have had several after a day with her. She'd been fired from her former job, and it didn't take long to understand why. Very soon I simply ignored her and when she something wrong or inconvenient, I redid it and felt better.